The stamping out processing is a precision work. The dieboard used for it should be a precise tool. The one that it is highly accurate, and can do extended maintenance of it. Additionally, a reasonable price and the quick turn are achieved. 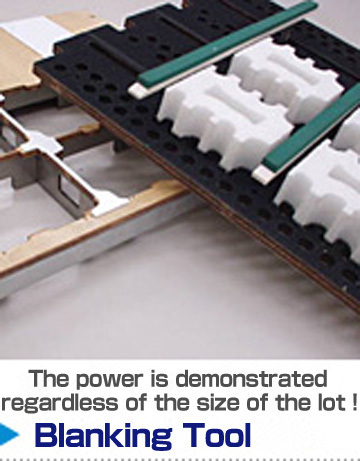 Various technologies are concealed in each box. As the pioneer, is our mission in shape as for the idea that extends infinitely. 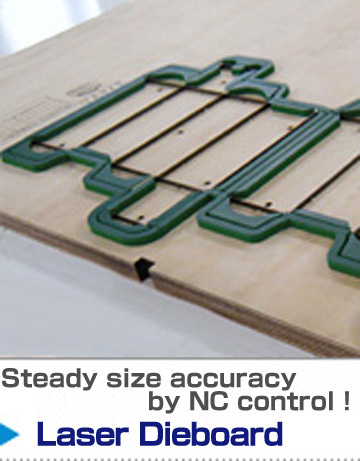 The environmental consideration design which is easy to decompose. An additional correction also became easy! 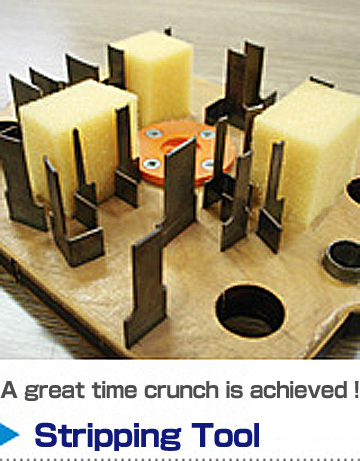 High accuracy and excellent durability which are not profitably by car wooden dieboard ! 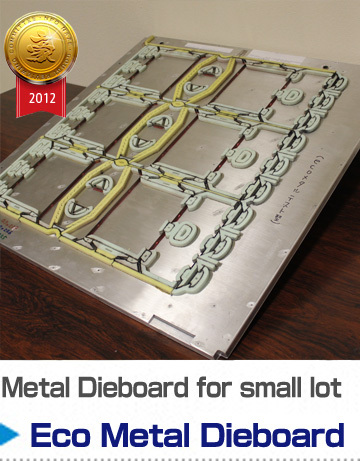 The exactly best stamping out in combination with the Metal Dieboard. 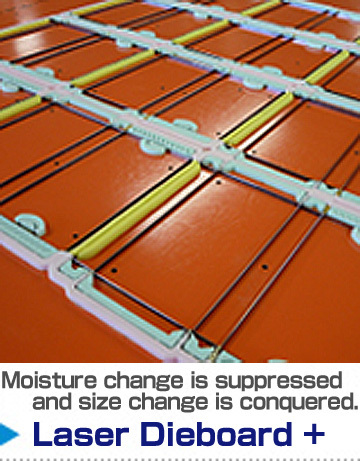 Special coating is given to the plywood surface and change of the amount of moisture in dieboard is controlled. 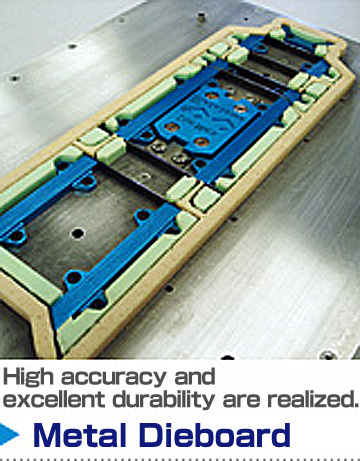 It succeeds in the dieboard production with the laser processing machine for the first time domestically. Lightness, Quick Turn, and Low Price! 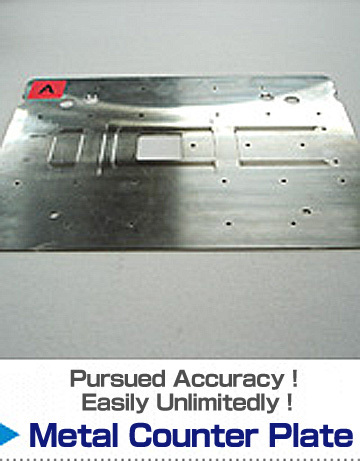 It corresponds to the stamping out machine each manufacturer and each model. 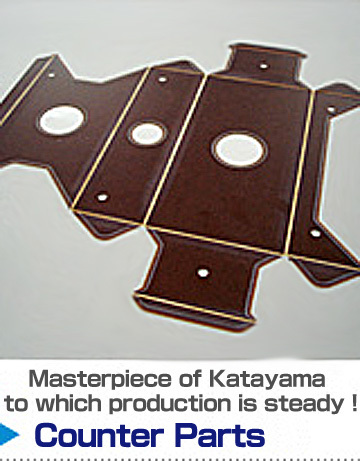 Masterpiece of Katayama to which productivity is steady according to the coating of the surface. The set of the pin in the under can be unnecessary, and the arrangements time be shortened.